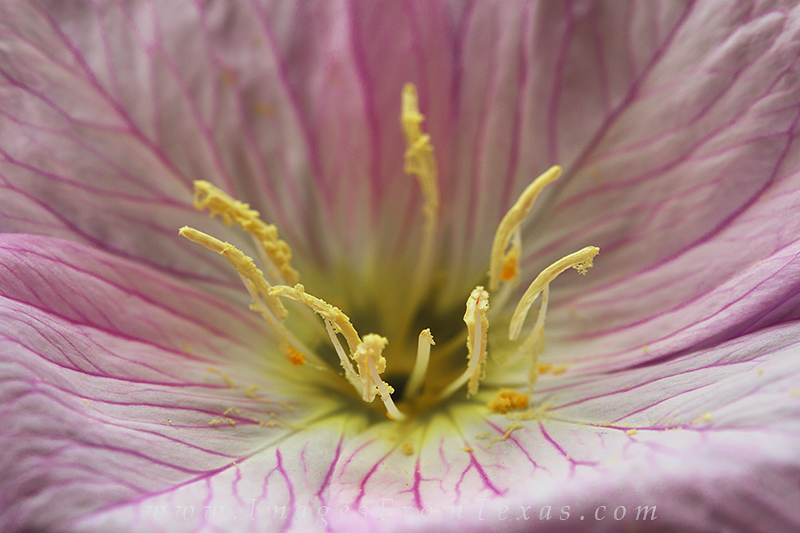 Details of the showy primrose show the pinks of the petals and the pollen of the stamen. This wildflower often shows up in praries and along roadsides growing in colonies, producing vast stretches of beautiful pink and white. Photo © copyright by Rob Greebon.